My family and I often talk about all the things we’re looking forward to in our lives—over dinner, on our walks, before bed. Recently, I talked about my excitement for the upcoming Latinx Theatre Commons Sin Fronteras Festival and Convening, for which I am a co-producer. My twelve-year-old daughter, Genevieve, who identifies racially and ethnically as Native Hispanic, White, Latina, and Mexican American, can sometimes be an apathetic pre-teen. But at this moment she was curious, asking me what it was about, who was going, and what plays would be in the festival. I told her a little about the goals of the event: to encourage more Latinx theatre for young audiences (TYA) by highlighting excellent work, as well as to think as a group about how to bring more of it to our stages. I explained that there would be work featured from the United States and Latin America—some in Spanish, some in English, some in Indigenous languages—all created specifically for young audiences. She said it sounded pretty cool, and I agreed. I asked her why she thought it was important to have such a festival and for young people to come out. She replied, in her slightly precocious manner, that it’s really important for kids to see all kinds of stories on stage, that she would like to see more Spanish-language theatre—and certainly more theatre presented in Indigenous languages in Austin where we live—and that seeing plays in these languages here, right now, just hours from the Mexican border where people are being deported and abused, means something. Hearing my daughter, a young person for whom the festival is intended, talk about it with such enthusiasm made me even more excited. 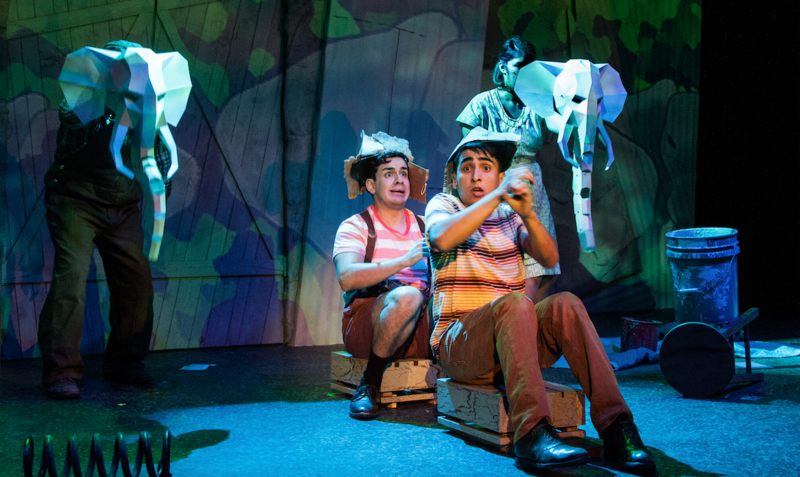 Latinx theatre created specifically for children and families is in no way new, but it is underrepresented in many communities across the United States. That said, more and more Latinx playwrights are writing plays for youth with Latinx characters and stories, and more research documenting the work is being published. As a white scholar of Latinx TYA and culturally responsive arts education, I am committed to helping with this documentation in order to make more visible the Latinx theatre that is being created for young people. JJ's Place by Jose Casas at Spinning Dot Theatre. Photo by Too Taehoon. Always, the plays center on familia, with one or more children at the center of the story, negotiating their place in a history that has been elided or denied altogether. Further, like the majority of Latina/o plays written for adult audiences, identity is a central issue: who are we? How and where do we belong? These questions are asked by all children, of course, but to a member of a Latina/o family and community these questions seem even more urgent. Latinx theatre created specifically for children and families is in no way new, but it is underrepresented in many communities across the United States. Still, the book is only useful when it’s being utilized. Casas and Marín have compiled Latinx TYA plays and collaborated with scholars to contextualize the work. Now, the plays need to be produced. And then, as Huerta often reminds in his scholarship and at scholarly gatherings, the productions need to be documented. Scholars like Cecilia Aragón, Trevor Boffone, Brian Eugenio Herrera, Lorenzo Garcia, and Teresa Marrero are standing by ready to do so. For some time, I have written about what isn’t happening in the sector, lamenting the disparities between the number of Latinx/Indigenous/Hispanic youth in our schools and the Latinx/Indigenous/Hispanic bodies and stories on stages throughout the country—and specifically in Texas. I have conducted research on Latinx and Indigenous representation in theatre in schools, examining how educators are and are not prepared to engage in culturally responsive arts education. But, these days, I am more interested in writing about what is happening, to speak to the compelling Latinx TYA that everybody needs to witness. There is a lot to see and a lot to document. 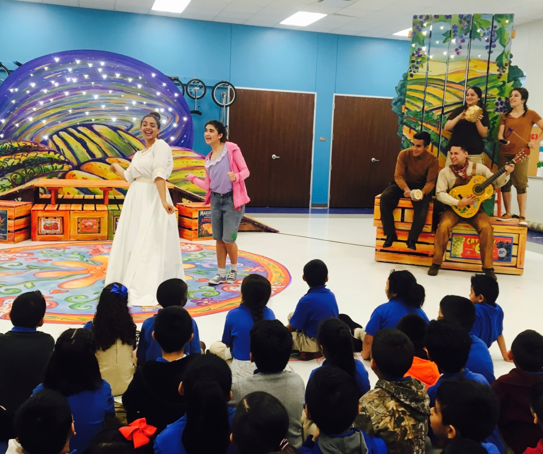 Luna by Ramón Esquivel, tour production by University of Texas at Austin, performed at KIPP Austin Comunidad. Still, I hear school educators and education directors in theatres say that there is nothing good to produce. Students graduating from university theatre programs still lack an awareness of the Latinx TYA canon and know even less about work coming out of Latin America written for any audience. But excellent Latinx TYA literature exists, and excellent TYA is being produced in Latin America, and, as my daughter says, it’s really important that people see it. Young Latin@s have a right to literature that reflects their heritage and history without pathologizing their existence as the Other. Indeed, all young people have the right to quality literature through which they can learn about the culture of a population that is increasing exponentially in this country. Students graduating from university theatre programs still lack an awareness of the Latinx TYA canon and know even less about work coming out of Latin America written for any audience. The struggle to represent theatre that is relevant to young people stretches across the border and throughout Latin America. I have seen TYA in Argentina, Brazil, Mexico, and Costa Rica, and more Latin American work represented at international festivals through the International Association of Theatre for Children and Young People (ASSITEJ). I have also had the opportunity to talk with scholars about taboos in dramatic literature for young people through the International Theatre for Young Audiences Research Network. Getting to witness productions from Latin America at international festivals, as well as getting to present scholarly papers with other scholars in Latin American countries and beyond, is an incredible privilege. Tomás and the Library Lady at Dallas Children's Theatre. Photo by Linda Blase. As well as documenting theatre, I am also committed to working with others to help provide arts education access to youth in my community. As a child growing up in a trailer park in a rural town in southeastern Vermont, I saw very little theatre. The sporadic shows that were presented in town were not a priority for my mom, who was struggling to feed her children. Somehow, I still found my passion for the art form. All these years later, I am honored to be part of a festival that will bring more underreprestend theatre to young people in the Ausitn community, including to my own child (though, she clearly has relatively much more access than some of her peers, due to our resources and interest in the arts). 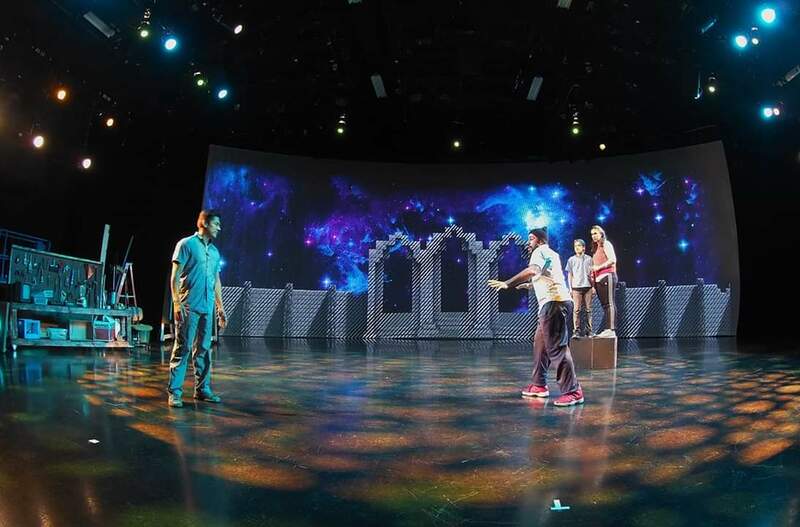 In his anthology, Casas asserts: “I not only believe that TYA is legitimate theatre, I feel it is, by far, the most important theatre, the type of theatre that bears with it a responsibility of the utmost importance.” I agree, and I am eager to witness this important work with young people, to talk about it with my Latinx Theatre Commons family, and to reflect on it with my own family on our walks, over dinner, and before bed. In the lead-up to the festival and convening, for this series, I have invited Latinx and Latin American artists and scholars to offer thoughts on their own work and on the work of their fellow theatremakers. Ramón Esquivel speaks to the recent evolutions and movement in Latinx TYA in the United States; Marco Novelo explains the long (and somewhat misrecorded) history of theatre for young people in the land that is now Mexico; and Bebê de Soares reflects the hope she sees imbedded in Chilean theatre for children and families when it’s presented both locally and globally. And while I have attempted to include a range of voices, any group of individuals could only begin to represent the many, many distinct experinces and perspectives of those working in Latinx and Latin American TYA. In the lead-up to the 2019 Latinx Theatre Commons Theatre for Young Audiences (TYA) Sin Fronteras Festival & Convening, I have invited Latinx and Latin American artists and scholars to offer thoughts on their own work and on the work of their fellow theatremakers. While I have attempted to include a range of voices, any group of individuals could only begin to represent the many, many distinct experiences and perspectives of those working in Latinx and Latin American TYA.